The RTPBC is a transaction that can be used in the electronic prescribing (ePrescribing) process to provide benefit details, such as patient out-of-pocket cost, drug alternatives and PA information, for prescription drugs covered under the patient’s pharmacy benefit. 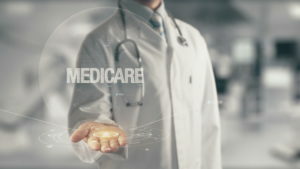 It enables providers to make better informed medication choices at the point of prescribing and helps connect patients with the costs of their care. Adoption by Medicare Part D will hasten adoption by other stakeholders. The following is a summary of POCP’s major comments on the proposed regulation. Comments on the requirements of the proposed regulation. Implementation date. We believe the proposed implementation date may be too aggressive for many electronic health record (EHR) vendors. We suggest that CMS consider moving back the implementation date to give EHR vendors a chance to build to the standard. Name of the transaction. The proposed rule references a Real-Time Benefit Tool. We believe the term “tool” is a misnomer. To some, it refers to proprietary implementations currently in the market, and could be misinterpreted as a piece of software. In reality, what is being developed is a transaction specification, which will be adopted by industry stakeholders. The transaction in question is one in the ePrescribing process that is referred to in the industry as a Real-Time Benefit Check (RTBC). Point-of-Care Partners believes it should be called the Real-Time Pharmacy Benefit Check (RTPBC). That is because the transaction refers to an electronic benefit check for drugs covered under the patient’s pharmacy or prescription benefit. It is distinct from a similar transaction for checking benefits for drugs, devices and procedures covered under the patient’s medical benefit. The industry is beginning work on what could be called a real-time medical benefit check (RTMBC). We recommend that the final rule refers to the real-time benefit check as a transaction rather than a tool and that CMS adopt the term Real-Time Pharmacy Benefit Check (RTPBC). This will prevent confusion and eliminate the need for additional nomenclature changes when the Real-Time Medical Benefit comes into use. Use of standards. The proposed rule is agnostic in terms of a standard to be used for the RTPBC, even though there are several under consideration by the industry. Several standards-based implementations already are in the market. Because we believe that a single standard will hasten adoption of RTPBC and eliminate the potential for an unsustainable number of one-off solutions, we recommendation that CMS require use of a single standards-based RTPBC transaction that is deemed most appropriate by NCPDP. Address the relationship with formulary and benefit files. The proposed rule does not address the interaction between RTPBC and the formulary and benefit (F&B) standard, also maintained by NCPDP. Some believe that the RTPBC will replace the need for F&B files. Others believe the need for F&B files will not go away with the advent of RTPBC. Rather, F&B will evolve to support RTPBC by consistently alerting prescribers of the need to perform a RTPBC due to mitigating factors, such as noncovered drugs. Thus, eligibility-informed formulary is still important because it helps determine whether an RTPBC is needed. For this to work well, however, two things have to happen. First, payers have to populate the prior authorization field in the F&B file and make it available in the RTPBC response. Data in this PA field is frequently missing or inaccurate. Second, payers must address the gaps in F&B data. For example, key data often are missing regarding individual patients’ insurance coverage, coverage restrictions, therapeutic class guidelines, and deductibles. Currently, these data are not always presented completely or accurately. Such problems serve as a barrier to adoption. As a result, we recommend that CMS should require payers to provide a minimum mandatory data set to populate F&B files as well as populate the prior authorization field in F&B files. In addition, the final rule should specify that the RTPBC does not replace the eligibility-informed F&B check. Comments related to implementations of RTPBC to make it more useful, accurate and complete in addressing price transparency and patients’ out-of-pocket financial obligations. Establish a uniform patient out-of-pocket cost model. Because of the way RTPBC has evolved, there are varying models for patient out-of-pocket costs. We recommend that CMS should work with industry to create a uniform patient out-of-pocket cost model. This is needed to ensure that payers provide consistent and uniform out-of-pocket cost information. Address the prescription rework challenge. One study confirms that prescribers using the RTPBC frequently change the drug prescribed when provided with information regarding a patient’s insurance coverage and out of pocket (OOP) costs. When that happens, the prescriber is faced with extra steps when selecting an alternative, which often is punted to the pharmacy to address. To ensure broad adoption and sustained use of RTPBC, CMS, ONC and others must address interoperability between the EHR system’s ePrescribing system and RTPBC application. This must be carefully designed and implemented to pass RTPBC results as a new prescription to eliminate clinician rework. Integrate additional cost/access information. There also are data gaps affecting patients’ potential out-of-pocket liability, such as lack of information on copays and financial assistance offered by manufacturers, foundations and states. We recommend that CMS should require RTPBC to provide lower-cost alternatives and restrictions, such as requiring a specific pharmacy. CMS could also encourage industry to provide relevant information on payment assistance programs. Enable RTPBC access for patients.Once payers build RTPBC for providers, it would be feasible to allow patients to access the same data via portals or apps. We recommend that CMS should consider including patient-facing implementations of RTPBC for payers. Please reach out to me if you would like additional information on issues surrounding the RTPBC and use of the transaction. We’d also be happy to help you draft your comment letters, which are due by 5 pm on January 25. My email is tonys@pocp.com.